A pedestrian was injured after being struck by a car while walking on the side of the Garden State Parkway in Egg Harbor Township, NJ. The pedestrian accident occurred near milepost 34 of the Garden State Parkway just a few minutes before 8:00 p.m. The victim was walking along the GSP when a vehicle traveling northbound on the highway clipped her and knocked her to the ground. It is believed that the victim was struck by the vehicle mirror, not the front bumper or the body of the car. The motorist did not stop after the motor vehicle accident. Meanwhile, the injured pedestrian user her cell phone to dial 911 and notify law enforcement. The New Jersey State Police Galloway station dispatched troopers to the scene, where they found the victim. She was subsequently transported to AtlantiCare Regional Medical Center in Atlantic City, NJ. Doctors at the hospital treated the victim for minor injuries and then released her. Police are currently investigating the auto accident and trying to determine exactly whether the driver, or the pedestrian, was at fault. At this time, it is unclear exactly why the victim was walking on the Garden State Parkway in the first place. It is almost never a good idea to walk on the side of a highway. That’s because cars, trucks, and other vehicles are traveling at such high speeds that it can be impossible for them to stop and avoid hitting a pedestrian. Moreover, if a motorist loses control of their vehicle or needs to swerve for any reason, a pedestrian could be catastrophically injured. In this case, the pedestrian walking alongside the GSP in Egg Harbor was struck by the car’s mirror. This is probably the best-case scenario for the victim, since it only resulted in minor injuries. If the pedestrian had been hit by the body of the car, or struck head-on, she likely would have suffered catastrophic, or even fatal, injuries. However, the fact that the pedestrian was hit by the vehicle mirror also provides some indication of just how dangerous it is to walk on highways. Mirrors protrude from the sides of cars, meaning that the victim could have been struck by the vehicle mirror even if the car was in its lane at the moment of the accident. 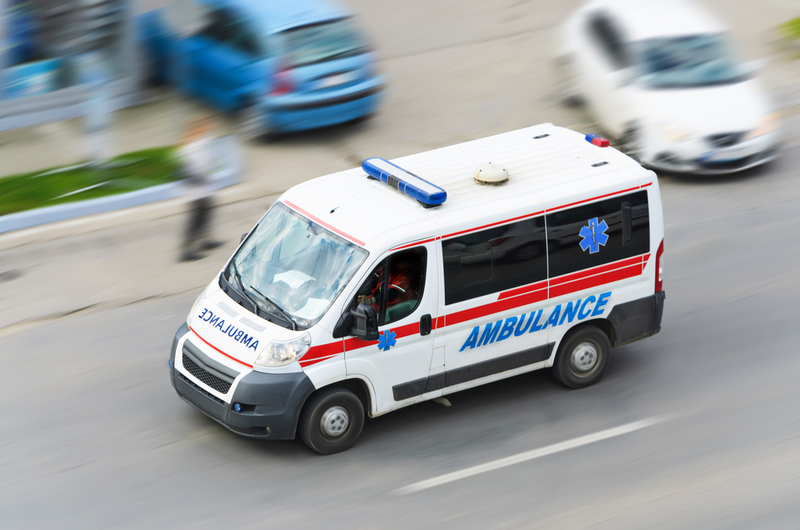 If you or someone you know was injured in a New Jersey car accident caused by a negligent driver, you should speak with a qualified personal injury attorney immediately. Richard Stoloff is an experienced personal injury lawyer who can help you get the compensation you need, want, and deserve. Contact Mr. Stoloff anytime to schedule a free consultation.